Visible results since the first application. Excellent hair cleaning performance, It deeply cleans the strands, removing cosmetic residues, mineral deposits, salts and iron. Its formulation is rich in active rebuilders and moisturizers. It can be used before coloring or after post-pool. It re-balances the pH to restore the hair, softens and seals the cuticles. Elaborated with Aminoacids and Keratin, it untangles, reduces porosity and strand breaking, providing greater malleability. It rebuilds the hair structure from inside out and recovers damaged and chemically processed hair to its healthy state. 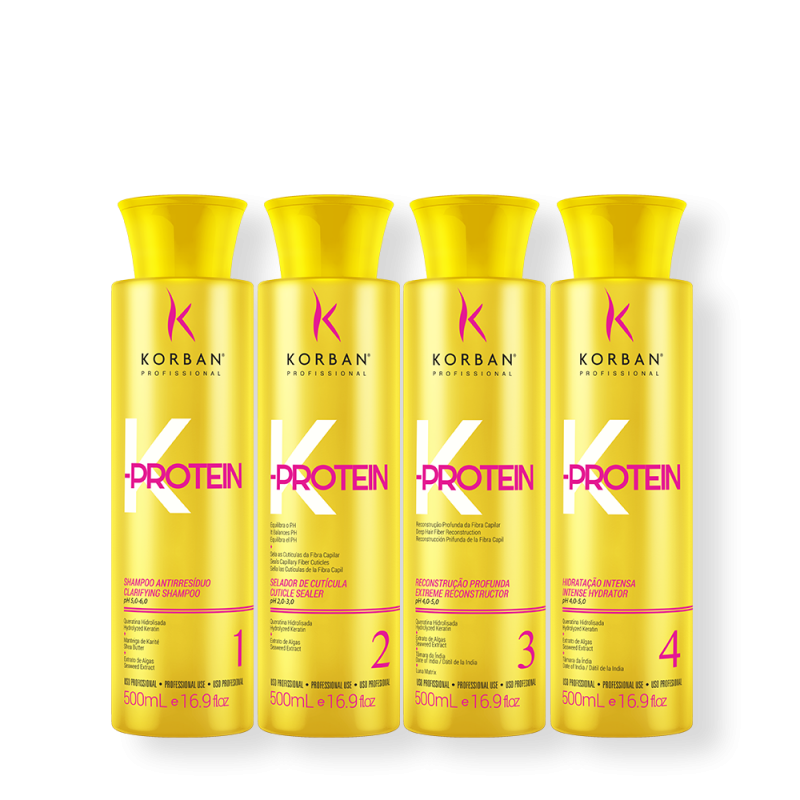 It restores the strength and hair resistance, causing strand breaking to cease. It reduces fading of color through the deposition of amino acids, so that the color molecules are fixed again. It intensely increases elasticity and brightness. It intensely hydrates and returns moisture through the lipid replacement to dry and damaged hair. It increases malleability, shine and reduces frizz. Apply on wet hair and slightly rinse it. Rinse it and reapply the shampoo by gently massaging the scalp until it forms a rich, creamy foam. Slide the foam to the ends. Rinse it, remove excess water with a towel and apply Step 2 – Cuticle Sealer. Apply Cuticle Sealer in the hair. Let it act for 5 minutes to seal the cuticle and rinse. Then remove excess water with a towel and apply Step 3 – Extreme Reconstructor. Apply EXTREME RECONSTRUCTOR in the hair. Leave on for 5 minutes and rinse. Then remove excess water with a towel and apply Step 4 – Intense Hydrator HINT: On extremely damaged hair, repeat Steps 2 (acidify) and 3 (rebuild) for maximum reconstruction results. Apply Intense Hydrator in the hair. Leave on for 5 minutes, rinse, and then comb and finish as desired.